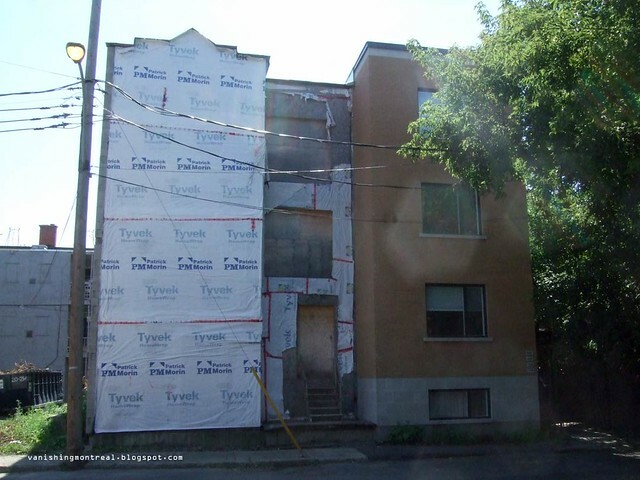 This building on Therien in Saint-Henri, built just a few years ago, is an odd thing: half of it was burned and is empty will the other half is occupied. I don't know if I would like to live in such a place. The land next to it is still empty. 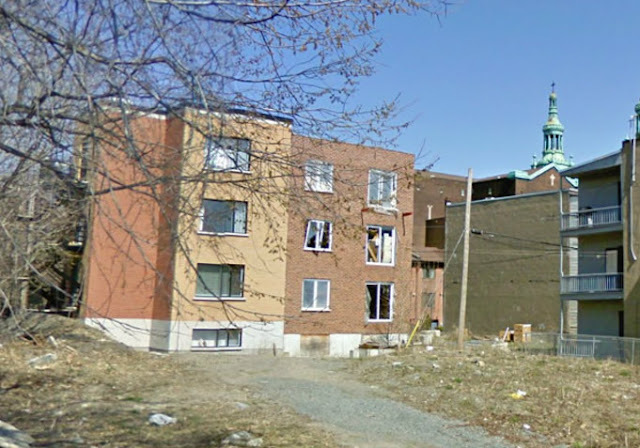 The Google streetview image above (from rue Delinelle) shows how it was just a few years ago from the back. They haven't fixed it since. 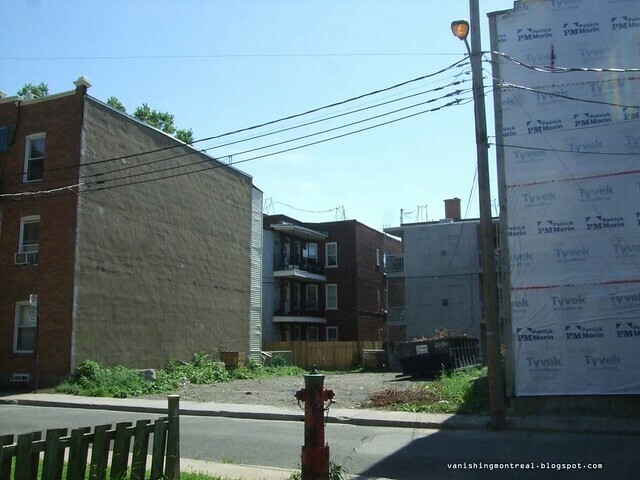 The empty lot before it is now occupied with a new condo building, as seen in the post above.